Oil on Gessoed Hardboard, 6" x 8"
Aren't these pretty? 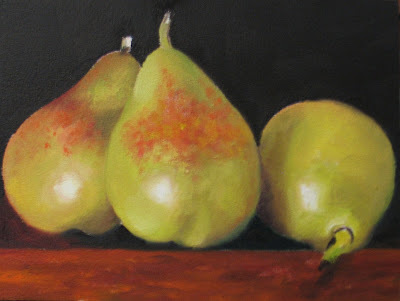 I DO love painting pears, and now that they've shown their blush, I get to eat them. Wait, wait...okay, maybe one more painting from them before.